In assessing its issues, the USPS likes to blame everything and everyone else for its fiscal woes. In reality, a permissive culture and poor documentation lead to poor behavior, contributing to the USPS’s mammoth financial problems. Too often, for instance, contractors fail to satisfactorily perform a service requested by the USPS due to avoidable mistakes on the part of the contractor. These “chargeable irregularities” should result in the USPS getting refunds from contractors. But, due to the lack of necessary paperwork and complete reviews, the USPS misplaces tens of millions of dollars nationwide to lost contracts. For the Chicago Network Distribution Center alone, the USPS’s Inspector General (IG) estimates that $7 million is at risk for a mere 11 contracts renewed during the 2016 and 2017 fiscal years. TPA estimates that, nationwide, these costs amount to more than $1 billion annually, or about a quarter of USPS’s yearly shortfall. Irregularities don’t end with contractors - there are plenty of in-house problems also. The USPS is supposed to use a modeling tool to dole out job assignments based on mail processing volume, but regular deviations result in increased overtime and lower employee productivity. The IG estimates that a more thorough use of its own modeling tools would save the USPS $420 million annually in labor costs alone. But reducing waste can only go so far when key products are systematically underpriced. The Task Force on the U.S. 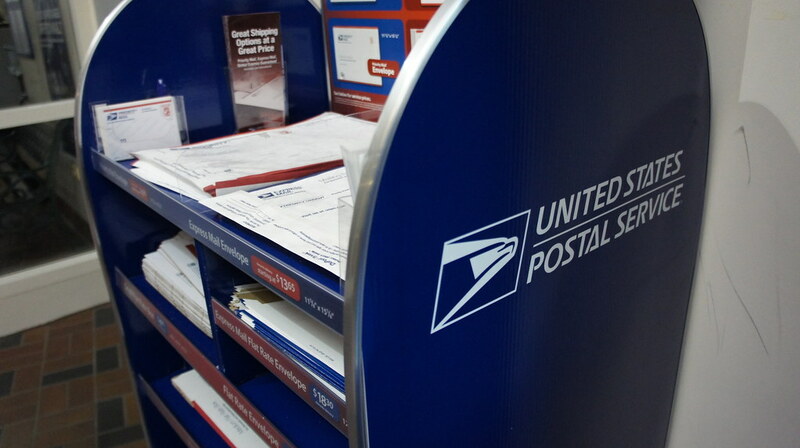 Postal System, which released its report on December 5, rightly called on the agency to stop charging e-commerce giants ridiculously cheap rates for package shipping, and recommended that the USPS “develop a new cost allocation model” that realistically takes into account the wear and tear that packages inflict on USPS infrastructure such as trucks and scanners. The USPS, for instance, assumes that “competitive products” such as packages are responsible for less than 15 percent of wear and tear costs for newly acquired trucks. This is ludicrous, especially considering that the USPS is acquiring new trucks to accommodate the large increase in package deliveries. Fortunately, the Postal Regulatory Commission began the year by making their package pricing formulas slightly more realistic, but far more work needs to be done. Even if the USPS package prices begin to reflect their true costs to Postal infrastructure, there’s still the issue of small postage buyers having access to rates designed for bulk buyers. A 2017 investigation by an organization known as the Capitol Forum found that postage resellers sold stamps and labeling to vendors that didn’t meet the USPS’s volume requirements. Similarly, a 2017 IG report found that postage resellers were routinely selling postage that didn’t match up with their packages’ volume and/or distance traveled. As a result, reselling giants such as Stamps.com continue to rake in consumers and hundreds of millions of dollars in revenue, while the USPS loses hundreds of millions of dollars from inappropriate pricing. None of these issues alone are killing the USPS. But TPA estimates that if the agency systematically changes its ways and fixes these problems, nearly all of the USPS’s net losses can be wiped away. Moreover, the more than $3.6 billion in annual tax expenditures identified in the report offer a critical buffer of funds that the agency can use to implement these changes. The stakes have never been higher, as members of Congress propose taxpayer bailouts of the beleaguered agency. But the USPS can do better than historic price hikes and monumental bailouts. The recent postage increase will inevitably backfire on the USPS as more people switch to electronic communication with fewer people mailing letters. Instead of counting on a postage increase or congressional action, the USPS needs to immediately institute serious reforms. The good news is that the problems have been identified. Acting on the recommendations in the TPA report will ensure a fiscally sound future for the USPS.